The home of the Dreamcade Replay and all things retro gaming. This is the place to talk about games. Post a list of your favorites, discuss any upcoming games you are excited about, etc. ...but are quite good and, more importantly, fun! Now that my Replay is purring like a kitten (knock on wood! (and thank you again Mireille2015! 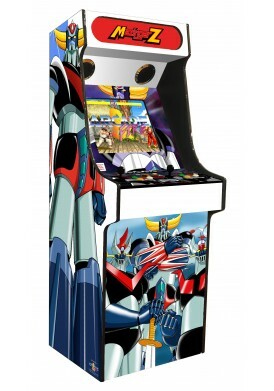 ), I'm on the lookout for Arcade games that I may not have heard of (or, at this point, remember!) that I should play. I grew up right in the sweet spot of Arcade gaming here in the USA - I regularly attended them from 1981 through 1991 - and beyond! I am a HUGE fan of the Japanese "Super Robot" animes from the 70's. My favorite is Gaiking, with the Grendizer and the Getter Robo stuff following close behind. 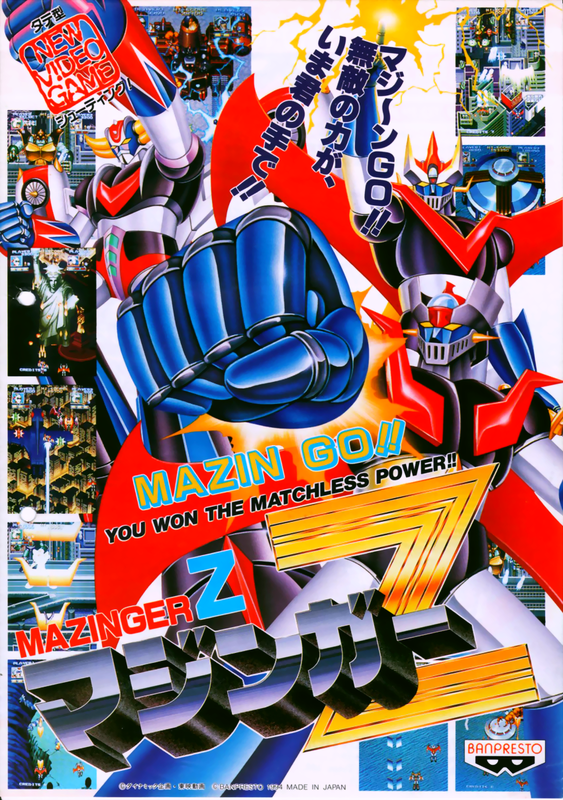 Imagine my surprise when I stumbled across a verical shooter called MAZINGER Z! 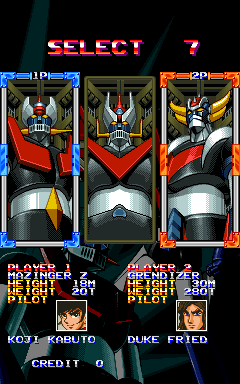 And if it, you can choose to play as Grendizer! It's lots of fun, even if it seems to lack a proper big ending? Go for the Japan versions vs. the International/World one, as it offers a bit more of an authentic experience, with no scenes being cut! Anyone else have any obscure favorites? 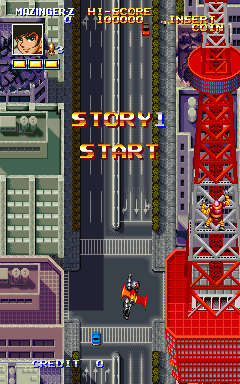 While I have not been watching recently I am a big fan of Super Sentai (The series that would go on to become the basis for Power Rangers) Do you happen to know of any Arcade games that focus more in that area? I know there were some console Super Sentai and Power Rangers games, but was not sure about the Arcade. Keeping the list going the two that I have been playing recently are Armored Car from Stern Electronics released in 1981 and Anteater from Tago Electronics released in 1982. From what I have seen the original Arcade version of Anteater was not too popular and became over shadowed by the home computer clones that it spawned. There is also an Atari 2600 version that was never brought to market, and unfortunately still not released in any form due to rights issues. If you are having a software problem be it front end, Windows, or want to try RetroArch and LauchBox but need help feel free to contact me. Post on the forum, PM here, or on Discord. I will be more then happy to do my best to get you sorted. To the best of my experience and knowledge (! ), I don't think the Power Rangers ever got an actual arcade game? Seems ripe for a 4 person side scrolling beat 'em up too, doesn't it? Ala X-Men or the Simpsons games? Not sure what to make of it, and it looks to be a weird hybrid of cards, arcade games and...? I'll check out Anteater and Armored Car though - thanks! I also like Anteater. Fun little game. And if you like it, there is a game on the Colecovision called Oil's Well that is the same game. 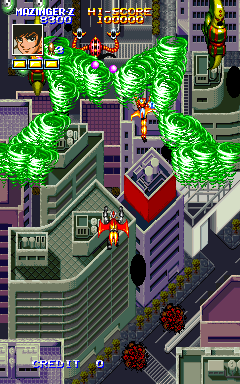 Other overlooked arcade games that I enjoyed are Moon Cresta that is similar to Phoenix but it has a nice little twist where you have to dock your ship on top of another ship to make it a better ship. I also liked Crush Roller/Make Trax. It is a maze game where you have to paint the maze and have obstacles like creatures that are after you and animals leaving paw prints in your paint. Ripoff was another fun game, especially two player. You had to guard crystals in the middle of the screen from ships that would come and steal them. You had unlimited ships so you could shoot the incoming ships or run into them. It can get hectic with two players as you can run into each other. The game was also on the Vectrex, where I originally played it. i remember playing with my kids when they were little, but hey had more fun running into my ship than stopping the other ships from stealing the crystals. I've actually played some of these - but not all - thanks! I can also remember playing all of these in the Arcade 'back in the day' - but I appreciate the reminders - I'll definitely check them out...again! I do miss some driving games like Pole Position and Roadblaster! "There is no Replay! Only Zuul!" I do fondly remember the ROAD RASH series of games - my friends and I had a lot of fun with them on consoles back in the early 90's. Fun fact, in my stint at EA, my photo was taken to be one of the cops in Road Rash II. I was one of the "Busted" screens. Don't remember which track though, most of the cut still screens were co-workers. Later I helped produce Road Rash 3D and put my black 4runner and my dad's station wagon into the game. fun period in game making. Are you still in the game making business?